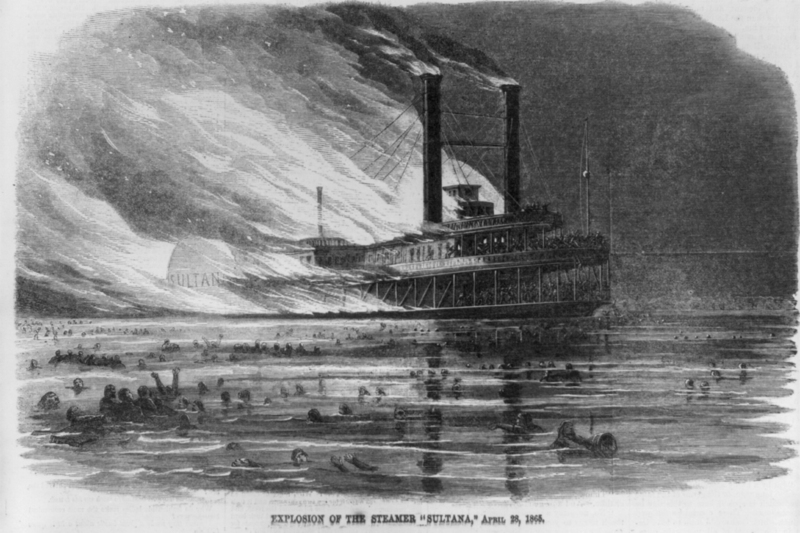 The greatest maritime disaster in the history of the United States occurred during the early morning of Thursday, April 27, 1865, when the boilers of the steamship Sultana exploded and set the ship ablaze on the Mississippi River a few miles upriver from Memphis. This historical marker located at the riverfront in Vicksburg states there were about 2,500 passengers aboard and that two-thirds of them perished in this disaster. The Sultana‘s boilers were in dire need of repair. She should have been laid up for overhaul, but the army had awarded the shipping company a most profitable contract at three dollars per head to transport soldiers northward, and the more soldiers she carried, the more money the ship would earn. 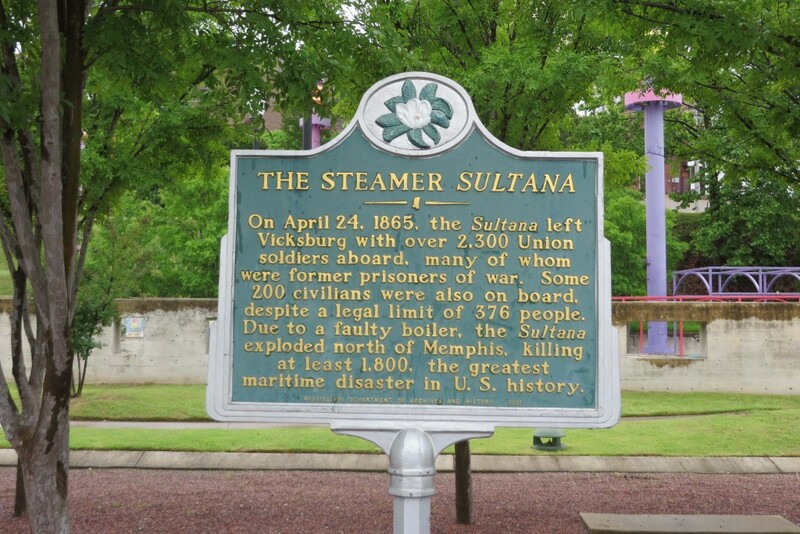 The boilers were patched up and the Sultana steamed north from Vicksburg at about 1:00 a.m. April 25. Many of the soldiers aboard the Sultana were former prisoners of war. They were the fortunate survivors. During the final weeks of the Civil War, when the fall of the Confederacy was certain, Andersonville and other prison camps were emptied of all remaining prisoners. Men from states along the eastern seaboard traveled by rail to Savannah and were put aboard ocean steamers for the voyage north, while men from western states (the Midwest of today) were sent west to Vicksburg, where river steamers carried them up the Mississippi and Ohio Rivers. 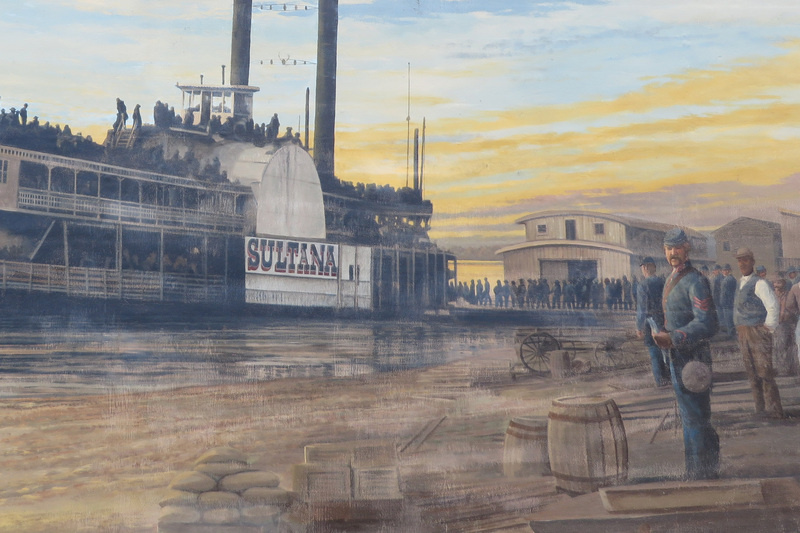 This picture is part of the historical mural that decorates the flood wall at Vicksburg. Look at the throng of soldiers already crowded into every available space on board and the long line still waiting to board. Imagine the elation of the sergeant in the foreground showing us his ticket. I can’t help thinking that perhaps he is one of those who survived the double horrors of combat and prison. And I know it’s just an artist’s depiction, but I wonder if the artist thought of this man as one of the many who died, or one of the survivors, of if this man wisely chose to take another boat. The daily fight to survive one more day had become a grim routine. So many had lost that fight. He had not. Now he is finally physically at rest, but he is struggling to find sense in all that he has endured, hoping to make peace with it all. Perhaps he is wrestling with why he lived when so many of his friends did not. He has spent three weeks resting at Camp Fisk, regaining his health and vitality. Lee has surrendered. The war is over. President Lincoln is dead. But starvation and pestilence are now past. A few days of discomfort on a crowded boat and he’ll be home by Saturday. He can already taste his Mom’s roast beef and mashed potatoes. 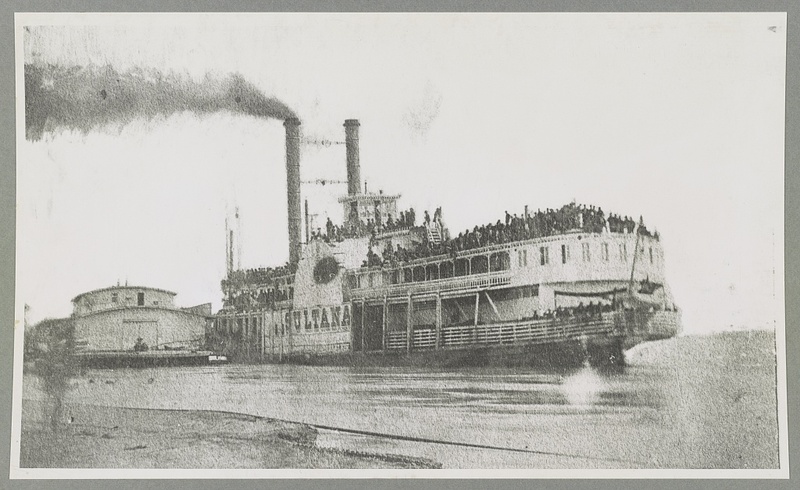 The last photo of the Sultana was taken at Helena, Arkansas the morning of April 26, about eighteen hours before she exploded. As the Mississippi often has, it changed course after the disaster. The river now flows east of where the burned out hulk of the Sultana came to rest. The site is now on the Arkansas side of the river near Marion, where the Sultana Disaster Museum is located. You may visit their website at: http://www.sultanadisastermuseum.org. First in a series of videos about Andersonville Prison, this short video shows the location and layout of prison stockade. 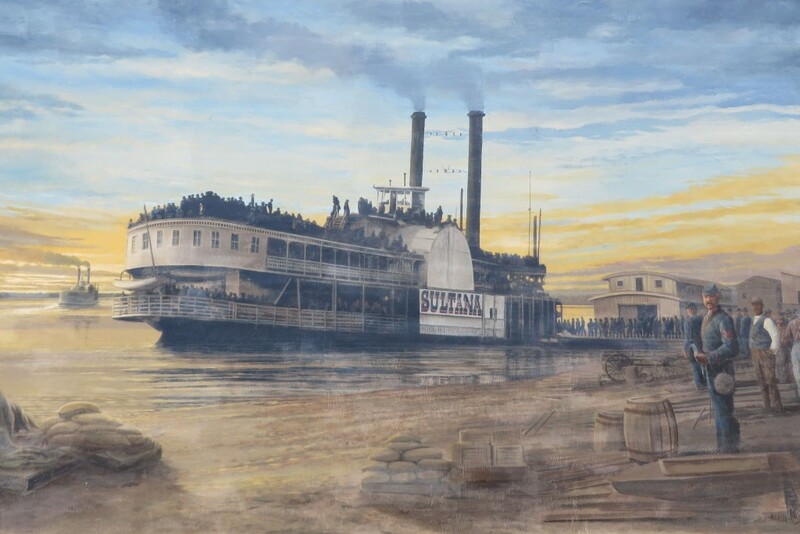 Natchez, Mississippi experienced little hardship during the Civil War compared to Vicksburg. Today, it’s a beautiful historic small city with wonderful views of the river. The combined efforts of salvage, preservation, and restoration have resulted in a wonderful exhibit of a Civil War era ironclad gunboat that is not to be missed. To read a fine article on the discovery, salvage, and preservation of the USS Cairo, click here. The Old Courthouse, Christ Episcopal Church, and the Duff Green Mansion in Vicksburg, Mississippi will provide historical settings for the second novel of my Shiloh Trilogy. Yes, Corinth, Mississippi. It was strategically important during the Civil War and only a twenty minute drive south of the Shiloh Battlefield. Find out why Corinth was key to both sides in the conflict and what you can see if you visit Corinth today. Format VideoPosted on June 5, 2015 June 2, 2015 Categories Battlefield, Museum, Place of InterestTags Battle of Corinth, Civil War, Civil War Fiction, ResourcesLeave a comment on Corinth, Mississippi?